I have been sewing a little bit here and there, in between working on the new business! Sweetchops is going great guns thanks to everyone adventuring out and visiting me. I can’t tell you how fun it is meeting so many new and interesting people and having a warm relaxed place for my existing clients too. But I still need some sewing time! I love Leah Duncan, her fabric and prints are so nice and I really thought they would go well in the new salon space. 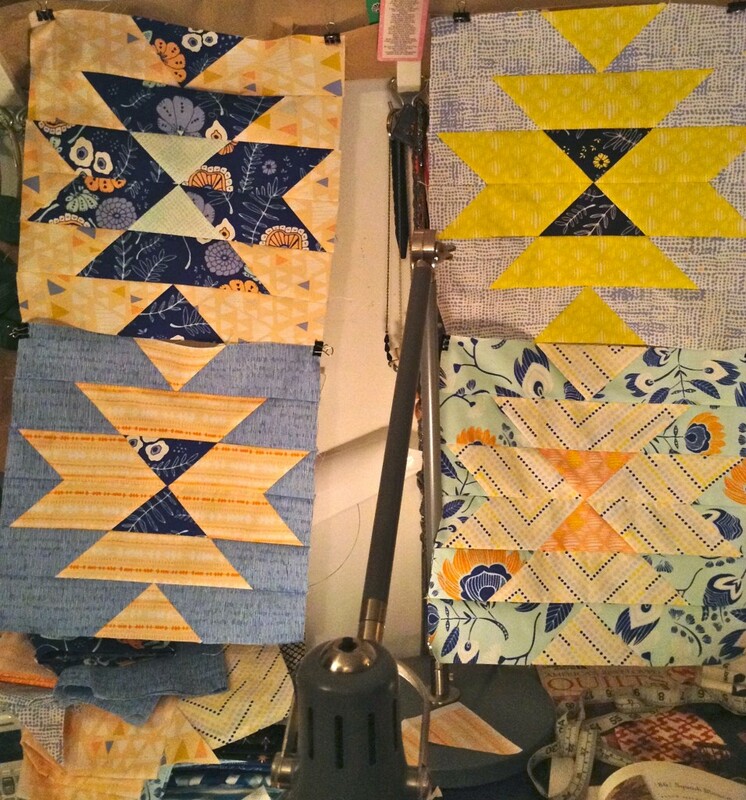 While working on my farmers wife quilt I’ve been earmarking all my favorite block so I could go back and use them individually later on in quilts themselves. I enlarged the pattern for ‘squash blossom’ which has an awesome Navajo feel, I believe, perfect for Leah’s fabrics. And I made some bigger blocks that are soon to become cushions in the ‘waiting room’. 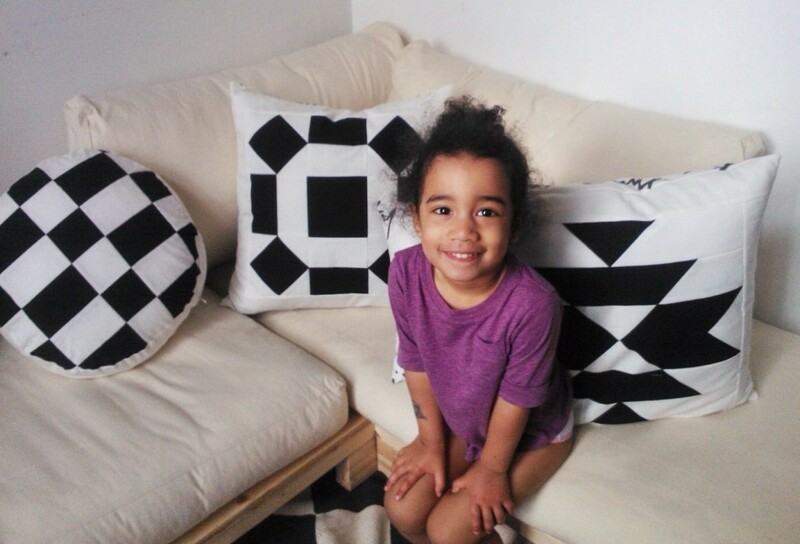 I backed them in the famous IKEA Britten Nummer fabric and I love the results. I even made a round cushion which was an interesting learning experience putting a zipper into. They are a smidge lighter than the rug and couch base cushions, so I might tea-dye them to darken them up a slight bit. And will you take a look at my sweet God-daughter? Isn’t she the cutest? I made 4 cushions all up and I love how much faster they are than a whole quilt! I’m still not getting as much done on the weekends as I’d like, turn out a business is a ton of work!? But I wrote a list of all my things to finish/new projects and there are 9 things on it. 9 big things! Including possibly attempting Noodleheads cargo duffle bag, with thanks to Mere for starting me on another new project I probably didn’t need!! Also branching into some garment sewing – SHORTS!! I’m making some. And oh I love those cushions Wendy! They really stand out and the shapes suit the geometrical designs perfectly. Funky cushions, I really like those. It’ll be so cool when you and the salon are all decked out in your handmade things!